Yves is an agronomist and economist. He was senior advisor to European Commissioner for agriculture and rural development during the last CAP reform. Before that Yves worked in the French Ministry of Agriculture and Food in Paris, and advised food companies and governments in London, Brussels Hungary, Poland and Slovenia. He has an in-depth knowledge of international negotiations, agriculture and food policies. 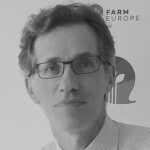 Former Deputy Director General in DG AGRI, Joao is a prominent partner and contributor to Farm Europe. 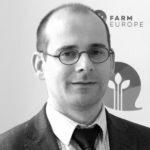 Joao has held multiple top-level positions in the European Commission in DG AGRI. He has also served as European Union Ambassador to Brazil. Joao has extensive experience in multilateral and bilateral trade relations. He brings over 30 years of top European government trade and agriculture policy as well as private sector experience. Luc is a Public Affairs and Communication expert. He served the European Commission as political and communication advisor to the Commissioner for agriculture and rural development. Before that he worked as a journalist, reporting on EU affairs. He has a strong focus on delivering a results-oriented European agenda. Horacio Gonzalez Aleman is a Lawyer and Postgraduate in European Studies and Agri-food Business. 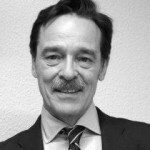 He brings over more than 25 years of experience in Food Chain issues after serving different positions in Food & Drink Industry Organizations, both at national and European level, as well as in the OECD ( BIAC). 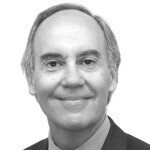 He has an in-depth knowledge of regulatory affairs, internal market and economic issues affecting the Food Industry. 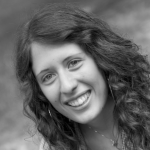 Valeria obtained a Master’s degree in Economics and Management of Public Administration and International Institutions from Bocconi University, with a major in International Organizations. Her coursework included a specific focus on Strategy and Policy analysis. Prior to this, Valeria received a bachelor in European Economics. This was enriched by an Exchange Program semester in Berlin. Main research interests include agriculture and food policies, topics she covered during a first work experience in the Trade and Agriculture section of the Delegation of the European Union to the United States. She also had experiences in Geneva-based NGOs and at the Embassy of Italy to the United States. 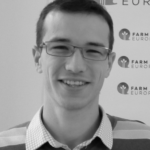 Guillaume has a Master degree in Biodiversity, Ecology and Evolution from the Perpignan Via Domitia University. Specifically, he pursued the Biodiversity and Sustainable Development pathway developing an in-depth understanding of the management of natural animal and plant populations. During his studies he had the possibility to acquire practical skills by elaborating and conducting experiments on radio tracking and animal monitoring. Furthermore, thanks to the multidisciplinary approach of its Master’s Program, Guillaume had the possibility to analyse the broad field of Sustainable Development focusing on the Law, Economics and Public Policy aspects.